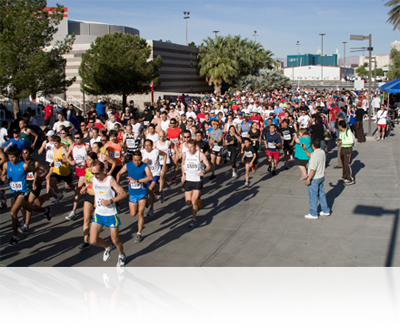 Download all important Las Vegas 5K info directly to your calendar. Race Past The World Famous Welcome To Las Vegas Sign! Check the awesome contents of the LV5K swag bag. We want to thank you for giving us the opportunity to run in your great race. We are very happy. We will come next year. Thanks again for making it a memorable day. It was a really great race though. The best thing was rolling out of bed an hour before and taking a golf cart to the starting line. Never had that experience before. Great Venue. Course was perfect. Thank you for providing amazing cash prizes. I plan on running your next race and I told all my Utah Elite teammates what we missed out on this year! Please let me know any upcoming events with cash prizes! Thanks! Plenty of bathrooms. Results were up quick. Nice finish line. You accomplished the goal of making it an event, and not just another 5K. Awesome awards. Plenty of parking. Good announcer. 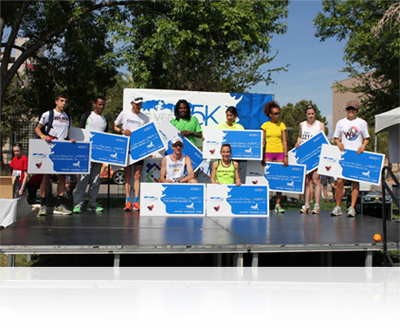 © Copyright 2011 : Las Vegas 5K - NC Sports LLC : All rights reserved.